Alberta Education Assessment Standards for Mathematic 30-3: This document provides achievement indicators for specific outcomes of the curriculum, as well as standards for assessing individual student achievement relative to the curriculum outcomes. 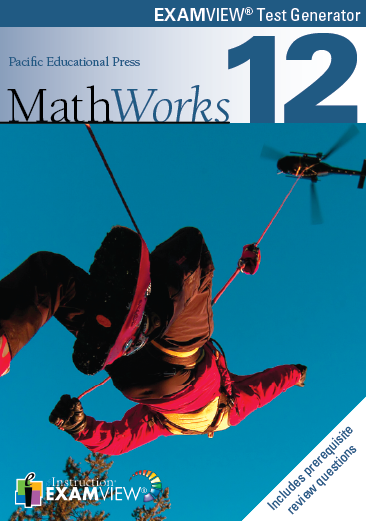 The document provides page number cross-references to the MathWorks 12 Student Resource. The ExamView Test Bank questions are editable and dynamic, allowing you to create multiple versions of tests and problem sets. If you need any additional help, you may find our Test Bank Tips useful.